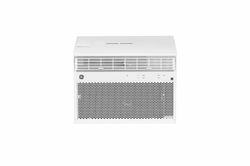 LOUISVILLE, Ky.—June 28, 2018—This summer, iPhone® and iPad® owners can beat the heat with Apple HomeKit™-connected window air conditioners from GE Appliances. Delivering 8,000 to 12,000 BTUs to cool medium- to large-sized rooms, the units are the first HomeKit-compatible air conditioners available for the U.S. market. GE Appliances is the first U.S.-based appliance manufacturer to introduce a product line that works with HomeKit. 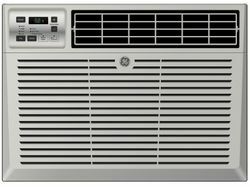 Now, Apple’s popular home automation platform can combat rising temperatures with advanced comfort control this summer. By adding these units to the Apple Home app, users can demand refreshing cold air with a simple tap or by asking Siri®. Owners can also create automations to instruct a unit to perform certain actions, such as turning on or off at a certain time of day. Units can also be controlled remotely, even outside of the home. No matter what scenes owners choose to set up, it’s easy to program a custom cooling schedule that works for each home. Inside the home, owners of GE Appliances’ connected air conditioners can operate the unit from the Apple Home app on iPhone, iPad, iPod touch® or Apple Watch®, by using Siri on any device including HomePod™ or directly from Control Center. Outside the home, owners need a HomeKit home hub (HomePod, 4th generation Apple TV® or an iPad with the latest version of iOS) to remotely control these units or set up automations. Apple’s popular home automation platform allows owners to combat rising temperatures with advanced comfort control this summer. 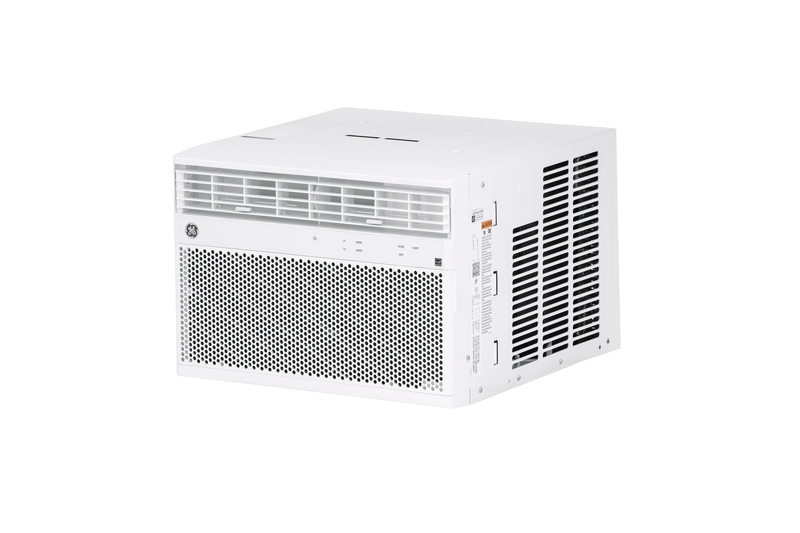 These ENERGY STAR®-compliant air conditioners allow owners to enjoy four-way air direction by selecting from three cooling settings or choosing “Energy Saver” mode, where the fan and compressor shut off automatically when the room is cool enough. An electronic digital thermostat and standard remote also make manual operation simple and intuitive, while installation is no worry, thanks to an EZ-Mount window kit that includes everything needed. Meanwhile, a reminder light tells owners precisely when to replace the filter to keep their unit operating at optimal efficiency. 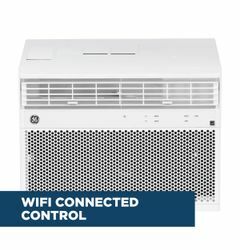 Those eager to find the new, HomeKit-compatible air conditioning units can visit leading retailers The Home Depot® and Lowe’s® or contact their local authorized GE Appliances dealer. 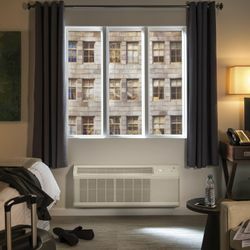 Those who want to discover even more cool products and connected possibilities for the home can visit GE Appliances online to learn about real connections for real life. GE Appliances, a Haier company, a leader in WiFi-connected appliance technology, makes owners’ lives easier while improving their daily routines. With its connected suite of GE Appliances, owners can monitor and maintain their home from virtually anywhere. From the kitchen to the laundry room, connected products work with Apple HomeKit, Amazon Alexa, Google Assistant, Dash Replenishment, Nest Labs, Drop, IFTTT, and Innit—allowing owners to stay on top of their appliances from near or far using their voice or a mobile device. Connected appliances also are updated remotely with new capabilities and can assess their own performance, allowing for unparalleled service. To learn more, visit http://www.geappliances.com/ge/connected-appliances/. 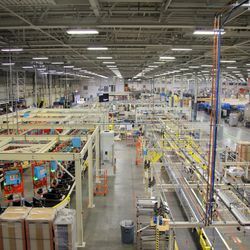 GE Appliances is the first U.S.-based appliance manufacturer to introduce a product line that works with HomeKit. GE Appliances introduces its first HomeKit-enabled product allowing iOS customers to access it using the Apple Home app and Siri.